AtlasFAI is proud to welcome a new office and doctor on board in Wheeling, Illinois. WHEELING, Ill. - June 15, 2018 - PRLog -- Let us introduce Dr. Anthony Spitz from our Wheeling, Illinois center! Dr. Anthony Spitz is thrilled to have joined us as an AtlasFAI Certified Center. He is the second Atlas Foot Alignment Institute Center to open up in Illinois. Dr. Spitz studied at Rosalind Franklin University College of Podiatric Medicine. He's also a Member of The Academy of Ambulatory Foot and Ankle Surgery. He provides comprehensive medical and surgical treatment of the foot and ankle for adults and children in the Wheeling, IL and Chicago, IL area. Treatments offered include foot and ankle surgery, sports injuries, ankle sprains, heel pain management, plantar fasciitis, diabetic foot care, laser wart removal, hammertoe surgery, corn and callus treatment, bunion surgery and more. 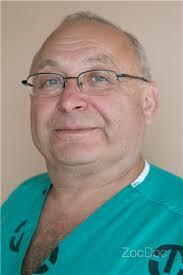 Dr. Spitz is trained in the HyProCure® procedure and is considered a Master Surgeon as well as a Center of Excellence. He provides podiatric care for all ages, and has a passion for treating all types of foot and ankle conditions. We're honored to have him join the AtlasFAI Family!